“From Technician to CEO” was written to share the thought processes and business tools turning the industry into a well-respected market segment of the economy by those inside and outside the industry who ask the question: “Is there money in bugs and lawn care?” You’ll join Peter during his journey from a young man working in his dad’s business to gaining the book smarts by studying a university business curriculum to experiencing the trials and tribulations of growing a successful business to becoming one of the new breed of pest and lawn industry leaders. If you own or manage a pest or lawn care business, you’ll learn many of the CEO strategies employed, key performance indicators used and the mindset needed to create a market-leading company. 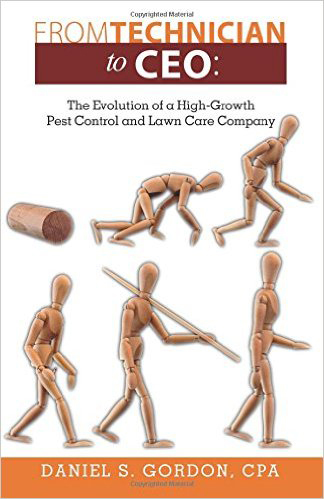 While there are many informative books about building businesses – each focusing on a specific discipline such as management philosophies or marketing strategies – I’m unaware of a comprehensive book that illustrates what’s needed to leverage business tools to build a successful pest or lawn company. This book, From Technician to CEO, can serve as a reference for those who are embarking on a journey similar to Peter Hall’s. While Peter’s journey is fictional, the examples and illustrations used in his story come from my experience working with hundreds of companies throughout the U.S. during the past 20 years. Some are successful strategies; some are horrible. But all were conceived by entrepreneurs who were building their businesses. My motivation for writing this book is mostly borne by the satisfaction I derive as an accountant and consultant in the industry I love, providing clients and friends with progressive business-building tools and seeing how they employ them to become successful industry leaders. My journey through the service industry started more than 20 years ago. Depending on how you define success, I’ve found it spiritually and financially. I’ve worked hard sometimes, tilting the scales the wrong way in terms of balancing my life, but I’ve always moved back to the center of that scale. I’m thankful to have a family that understands me and allows me to pursue my professional goals without hassle or guilt. I have a successful business, wonderful family and financial independence. What’s next? How about writing a book about what I’ve learned to share with others. I have a successful business, wonderful family and financial independence. What’s next? How about writing a book about what I’ve learned to share with others. When I spoke to Marty Whitford, editorial director of North Coast Media, about my idea in November of 2012, we agreed it could be fun and we could make a few bucks in the process. I began working on this project soon after, progressing nicely, knowing I’d need to slow the project down during March and early April for tax season when our firm, PCO Bookkeepers, and Turf Books prepares more than 1,000 tax returns. The slowdown was part of my work plan to help with the tax work. Never did I think I’d slow down for what followed. On March 7, 2013, my life and the life of my family changed forever. My son Matthew, a freshman at James Madison University who has aspirations of following in his dad’s footsteps to become an accountant, asked my wife to make a doctor’s appointment because he felt a lump in his neck. Within a few days, the news worsened. The X-ray showed a mass. The next day Matthew was scheduled for a biopsy that showed Hodgkin’s Lymphoma. A few days later, several scans showed it spread to several areas of his body. The doctors labeled it stage four. The news incapacitated my wife, Carol, and me for several days. This is a parent’s worst nightmare – anger and helplessness filled our every waking moment. For readers who have kids (and those who don’t), this was the unimaginable. Your son-who was an honors student, a three-year varsity letterman in high school lacrosse, a kid who ate properly-was always in the gym and just beginning to live life as a young adult-was hit with this horrible disease. When something like this happens, there’s no shortage of information, misinformation, opinions and decisions that need to be made quickly. Carol, one of the most organized people I know, was able to put together the plan of attack. For anyone who hasn’t been through it, cancer is a full-time job – the coordination with doctors, insurance claims, 17 medications that need to be administered to counteract the chemo cocktail, and the severe flulike symptoms after each round. As a parent, you try to teach your kids to do the right thing, solve problems and succeed in life. For Matt, the student became the teacher. The way he handled the entire nightmare has been nothing short of inspirational. His attitude, sense of humor and strong acumen for moving forward has taught me so much about how it’s not what happens in life, but how you handle it. When the doctors told him to withdraw from school because of his illness, he said he wasn’t going to do that because he worked too hard. He would do what he could from home and travel from our home in New Jersey to Virginia for as many classes as he could in between rounds of chemo. Carol and I didn’t like it, but as a young adult, Matt had to make his own decisions. Matt not only went back to school, but he earned terrific grades. I’m so proud of him! The outpouring of help and support from our friends and neighbors was amazing, and I thank everyone wholeheartedly. The varsity lacrosse team at Matthew’s high school alma mater wore his number on their helmets and dedicated the 2013 season to him. The team advanced to the state championship tournament that season. You guys are terrific! Now for the good news. After completing his chemo regiment, his tests read negative, meaning he’s officially in remission. And while he’ll never be completely out of the woods and need to return for checkups, this is the best possible news. I started this prologue by saying we wrote “From Technician to CEO” for profit. While I’ve been fortunate enough to succeed in business and be financially secure, this experience has taught me a great deal about myself, my family and those around me. It has taught me to realize that if you think you have a problem and it can be solved with money, it’s not a real problem at all. It’s just a challenge that can be solved. A real problem is what Matthew went through. So far, he has been lucky. However, during his treatments at Morristown Medical Center, we met so many kids who aren’t as lucky as Matthew – kids who have rare forms of cancer that, while being treated for a disease, might not recover. This is more prevalent than most people know. We go through life viewing it from the paths we walk and the experiences we encounter. Until our paths cross a situation like this, we never really think about issues such as kids with cancer. If we do, it’s not something that consumes our thoughts every moment of every day. 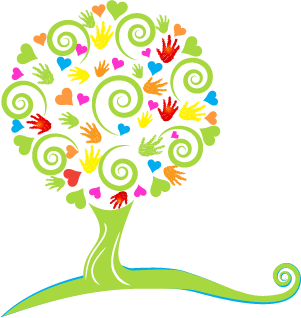 While I want so much for our family to move past this experience, I can’t help but think about the kids who are going through worse ordeals – cancer that can’t be cured, parents who can’t afford health insurance, or health insurance policies that don’t cover certain tests and treatments.To do my small part, this project has been converted from a for-profit endeavor to one of hope – hope for the many kids that aren’t as lucky as Matthew.